AC2000 security management solution, including state of the art command and control application Security Hub, installed with a range of emerald intelligent access control terminals and CEM readers, providing more than access control. Belfast, 30 September, 2016 – CEM Systems, part of the Security Product business unit of Tyco, today announce they have successfully won the contract to secure Harland and Wolff Heavy Industries sites in Belfast, Northern Ireland. G4S were selected as integrator to install the AC2000 security solution throughout the Harland and Wolff sites. Harland and Wolff is a heavy engineering company to the maritime, offshore oil and gas and renewable energy sectors. Located in Belfast, Northern Ireland, Harland and Wolff is one of Europe’s largest heavy engineering facilities. Purposely developed to create some of the world’s largest ocean going vessels, the world class facilities can handle the largest of structures in a safe, productive and cost effective environment. Environmental Health and Safety management is a vital element of Harland and Wolff’s business, and ensuring the safety of their personnel is paramount. 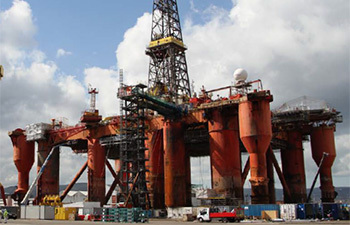 To protect their employees and secure valuable equipment across their vast site, Harland and Wolff installed AC2000 security management system and a comprehensive range of CEM’s innovative access control readers. “Our site presents a range of unique security and safety challenges; we therefore required a solution that would provide more than access control. We needed a complete security management system that would also help us improve efficiency and ensure the safety of all our employees. CEM’s AC2000 was the ideal solution, and combined with their range of sophisticated access control readers we have a system that meets our security and business requirements” said Chris Neill, Security Operations Manager, Harland and Wolff Heavy Industries. CEM Systems AC2000 is a powerful access control solution that comes with a comprehensive range of software applications that enhance site operations. Harland and Wolff uses AC2000 Security Hub for alarm and CCTV event management. Security Hub is the new centralized command and control application for AC2000. It seamlessly blends IP security surveillance systems and alarm processing into a single, simple and intuitive user interface. Security Hub is a flexible and highly configurable central command and control application that manages all events and alarms within the AC2000 access control system and its integrated sub-systems; including video, fire, intruder and building management systems. Harland and Wolff also make use of range of other key AC2000 applications including Time and Attendance, Mustering and Zone Monitor, to ensure that all their additional security and business needs are met. A broad array of CEM access control readers, to suit specific door locations and security and access requirements, are also in place across Harland and Wolff’s immense and diverse site. Using S610 readers installed at turnstiles and S3040 portable readers at dry dock areas, in combination with AC2000 Mustering and Zone Monitor applications, Harland and Wolff successfully reduced their mustering time from an evacuation drill from 45 minutes to 9 minutes on rigs with up to 1,200 people. S610 readers are deployed throughout the main Harland and Wolff building, providing card and PIN access to key areas. emerald, intelligent access terminals, are installed at the Harland and Wolff reception building. emerald’s LCD touch screen enables Harland and Wolff to improve corporate branding on entry points to the building where they are regularly working with high value clients. The built in audio intercom also allows visitor communication with the reception desk and remote door opening. High security areas including the server room and equipment warehouse are secured with emerald TS300F fingerprint readers, requiring biometric verification for the entry of select authorized staff. In the equipment warehouse, emerald’s Checklist feature allows Harland and Wolff to prompt staff on exit to sign the register if they are removing any tools or equipment. This provides Harland and Wolff with details of who accessed their warehouse, and helps prevent the loss of valuable equipment and tools. “Harland and Wolff is an iconic company in Northern Ireland with a rich history, and we are delighted to secure their vast site with AC2000 security management system and a range of CEM Systems access control readers, including emerald. Going beyond security, CEM Systems is able to help Harland and Wolff become more operationally efficient, saving them both time and money and assisting them in ensuring the safety of all their staff and equipment” said Philip Verner, Regional Sales Director, EMEA, CEM Systems.